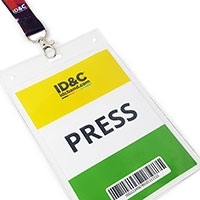 Available in 15mm & 20mm widths, our screen printed lanyards can be custom printed with one color text or logos on top of the base material. 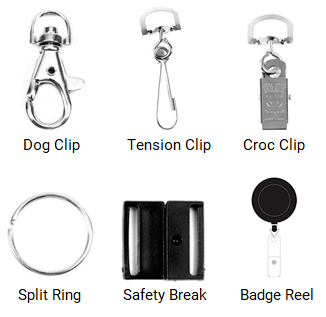 Our lanyards come with a dog clip as standard, but can be supplied with any clip from our range (see below) at no extra cost. Additional attachment options include clear plastic wallets (various sizes available) and extendable badge reels. Material: Ribbed Polyester. Dog Clip and safety break supplied as standard. Please note: Some options may incur additional costs & production times.